Freestone – Type of river or stream with a significant gradient resulting in medium to fast-moving water. The upper reaches of a freestone stream may be spring-fed, and the vast majority of its flow comes from run-off or tributaries (which are also spring-fed in Achoma). The fast moving water inhibits the growth of weeds or other rooted vegetation resulting in a “Free Stone” bottom. 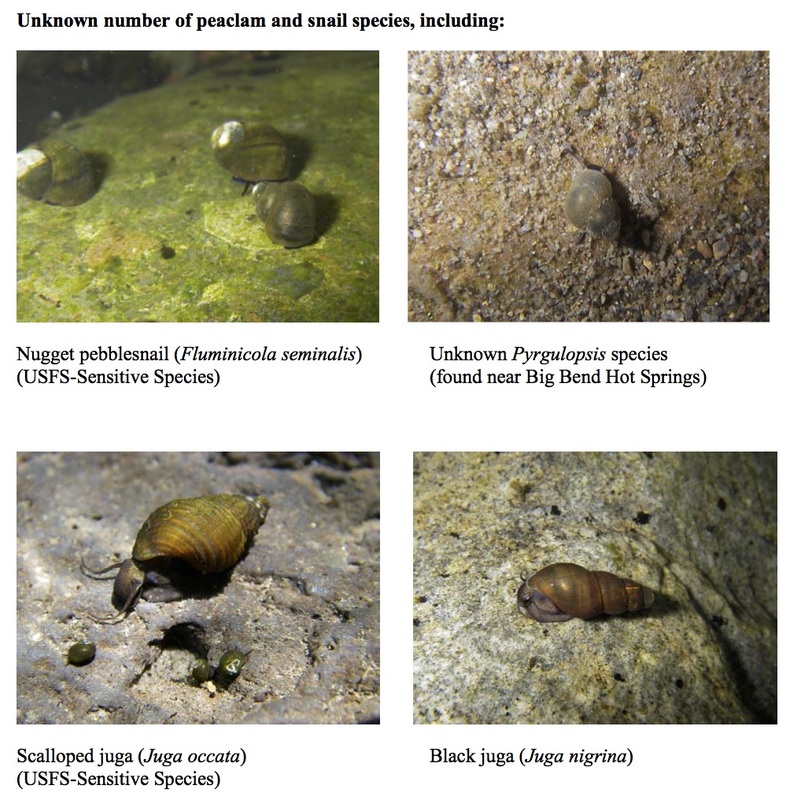 Freestone streams are less fertile than spring creeks, resulting in a smaller and less diverse aquatic insect population. Fewer bugs in faster water usually results in fewer but more opportunistic trout. Below, are some of the fish of the mighty Achoma. Unlike the “Biology” pages on this web site (all pictures are of organisms taken at BBHS site), some of these fish pictures were borrowed from the internet, and not taken at BBHS. Young fish also have 5-10 dark dorsal spots between the head and dorsal fin. Rainbow Trout do not commonly live beyond 6 years, though fish have been recorded to reach 9-11 years. 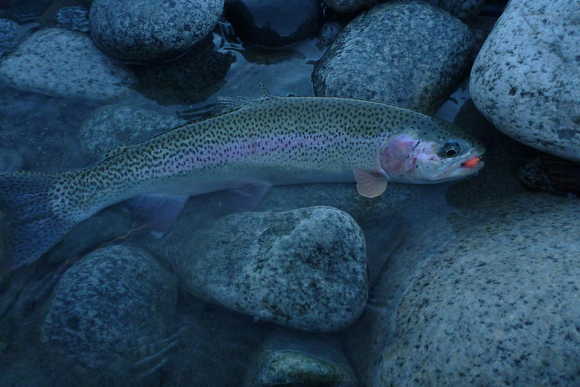 Within a stream resident rainbows have in-stream habitat preferences generally determined by size. The smallest fish are mostly found in riffles, medium sized fish in runs, and larger fish predominantly in pools. In streams and lakes rainbow trout feed on zooplankton, invertebrates, insects, drifting organisms, and sometimes other fish. Feeding usually peaks at dawn and dusk and summer consumption is greater than that in winter. 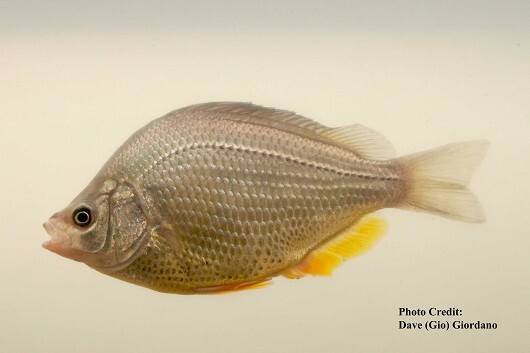 Sacramento Suckers have a diet made up of mostly algae, invertebrates, and detritus. The larval suckers feed on detritus and browse the bottom in warm protected streams, while juvenile fish forage along the bottom of stream banks of these warm streams. 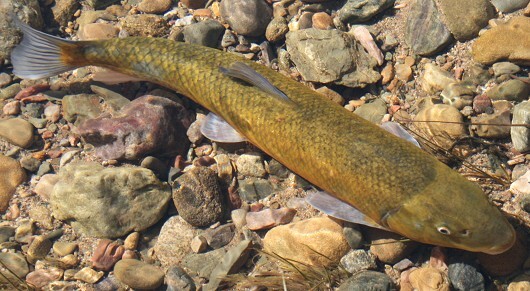 Young fish may stay in this warm water for several years before moving into lakes or larger rivers. Adult fish typically rest or hold in the deeper water during the day and feed during the first and last hours of the day. The larger fish may occupy pools, runs, or riffles in area where vegetation or rocks provide cover from birds and other predators. Their diet consists mostly of diatoms and detritus, with invertebrates playing a smaller role. The fish tend to grow larger and more rapidly in warmer streams and lakes as opposed to streams that are cool year round. At age 4-6 Sacramento suckers become sexually mature and begin a spawning ritual that may involve a migration to a warmer and smaller stream. Spawning is triggered by the onset of warmer water temperatures and usually occurs between February and June. The Sacramento Pikeminnow – the lateral line moves upward as it approaches the gill plate, about the only distinguishing feature separating it from the equally common, Sacramento Sucker. Note the size of the mouth, which is larger than that of a hardhead. Photo by Lisa C. Thompson. Sacramento Pikeminnows, formerly known as “Squawfish”, grow and develop slowly but may reach great lengths, and ages in excess of 16 years. Younger fish feed and forage during the day, while adults tend to reside in deeper pools during the day and move into riffles to feed during dawn and dusk. Juveniles may feed on aquatic insects and change the focus of their diet to crustaceans and fish as they grow bigger. Large adults are voracious opportunistic predators and may take prey anywhere at anytime. In addition to fish, prey items may include: frogs, lamprey ammocoetes, large stoneflies, and even small rodents. 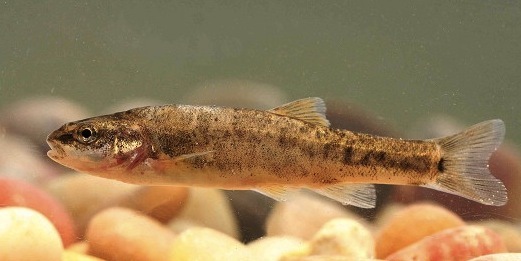 At age 3-4, Sacramento pikeminnows become sexually mature and begin spawning in April – May. Large minnows, sometimes greater than 60 cm, (rarely exceed 30 cm in smaller streams). The Hardhead – nearly indistinguishable from the Pikeminnow except in the larger sizes, where it’s entire belly becomes an orange-yellow. (whereas the Pikeminnow belly remains white). Hardhead may also inhabit lakes or reservoirs. All ages are omnivores though the juvenile and adult fish have a slightly different diet and tooth structure for feeding. In general these fish will eat benthic invertebrates, aquatic plants and algae, or insects. The young fish typically feed on mayfly and caddisfly larvae, as well as small snails. Older fish may focus on plants, crayfish, and larger invertebrates. In a lake environment the fish may also feed on zooplankton. 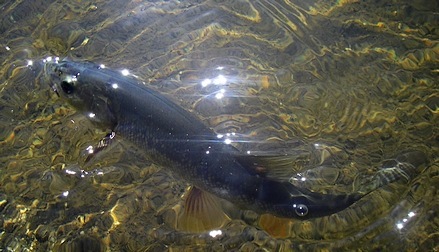 Within a stream hardhead tend to prefer warmer temperatures than salmonids and they are often found associated with Pikeminnows and Suckers. Adult hardhead may live up to 9 or 10 years. Tule Perch are very small little fish (100-200 mm). Spawning adults: may develop orange and red colorations on chin and paired fins. The speckled dace is about 4 to 5 inches (10 to 13 cm) long. During breeding, many males often accompany a single female who broadcasts adhesive eggs over the gravelly streambed. Each female produces between 200 and 500 eggs. Speckled dace are omnivorous, feeding upon filamentous algae and other plant material, bottom-dwelling aquatic insects and zooplankton. In general, sculpins are among the most difficult fish to identify. Individuals of the same species can vary dramatically, and features that are pronounced on some may be absent on others. Sculpins are also very elusive fish that blend well with their habitats. The pit sculpin grows to approximately five inches in length. Unlike most of the other freshwater sculpins native to California, the two top fins (dorsal fins) are not connected at the base. The pit sculpin has dark botches on its sides and back. Sculpins are unique fish that have very few or no scales on their bodies!Most species of sculpin are marine species. 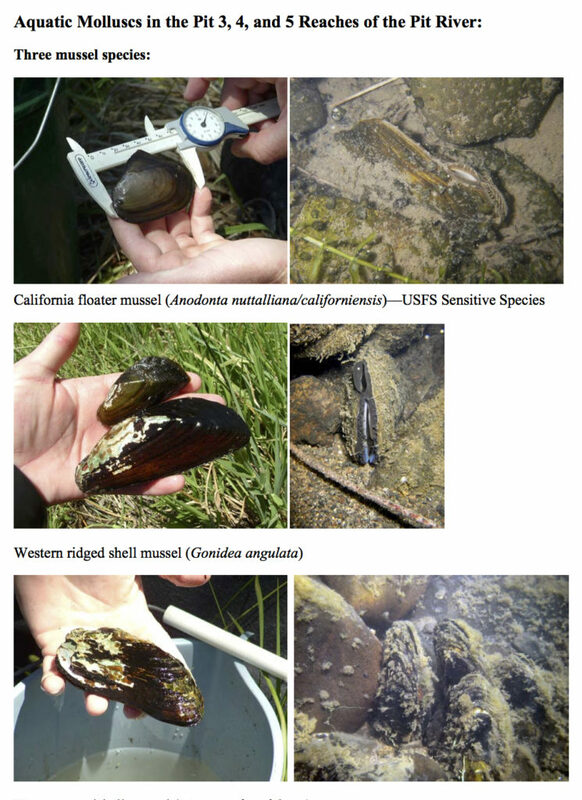 Of the seven freshwater species native to California, six occur in BLM-managed waters. Pit sculpins are found in the Pit River drainage and the upper Sacramento drainage. Whereas most sculpins prefer slower waters with muddy, sandy, or gravelly bottoms, the pit sculpin prefers rocky riffles in fast-moving waters. They almost always stay near the bottom of the streams and rivers, spending their days hiding under objects and coming out only at night to feed on invertebrates. During the breeding season the males build nests under large rocks by scooping out depressions in the sand or gravel. Females lay their eggs at the top of the nest, on the underside of the large rock. Females leave the nest as soon as the eggs are laid, and the nest is protected by the male until the eggs hatch. Multiple females may lay eggs in the same nest.